As I mentioned in earlier posts, I have just finished participating in a Yoga Teacher Training program which turned out to be so much more than learning the correct alignment of various poses. It was a journey of self-awareness and it has facilitated a personal inquiry process that has me quite frankly “blown away” in respect to how I view my world. Wow. That was a big thing you did. For yourself. For all of us. Because you saw the truth. That we are all flawed, But we are also still all divine. As yoga teacher we should be fully inclusive. Unless a person is in danger, even if they are disruptive they should be allowed to participate. People often react from a place of judgement because taking the socially acceptable Or safe road is the automatic response. I bet your wide words will make them all pause and ponder this. And that’s progress. 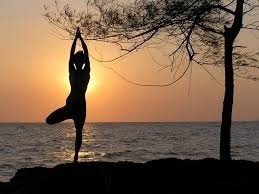 Yoga is a place where people should be free to start the path of self discovery. As teachers out role is to make that possible, not to create the rules.